Are you “Bare Ready”? And what do I mean by that? It’s having total confidence about your skin, even on sensitive areas, and being ready to bare yourself. First of all, what can give you that confidence? Personally, it’s when skin’s hair-free, even-toned, softer and smoother. 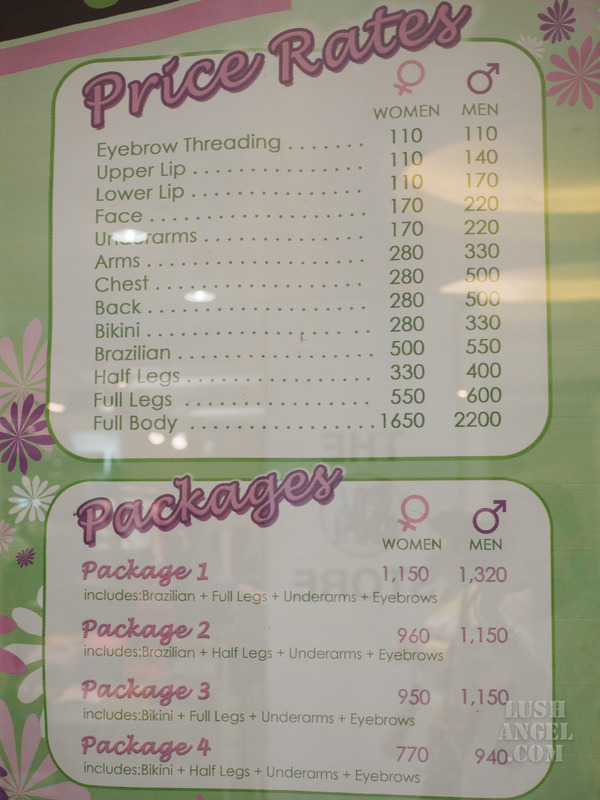 And this is exactly why Lay Bare Waxing Salon created Thorough Care. If you are into hair waxing, you’re probably familiar with Lay Bare’s famous cold wax. In fact, whenever I hear the words “cold wax”, I automatically think of Lay Bare. I’ve tried it a couple of times and I really appreciate how cold wax is less painful for me. Sometimes, the heat from the hot wax adds to the discomfort, especially on sensitive areas. BUT for Lay Bare, being hair-free is just the bare minimum. Thorough Care is Lay Bare’s patented treatment that uses cold wax formula that contains calamansi, sugar, and honey. And what are the benefits of these? Calamansi helps whiten your skin, sugar exfoliates and removes dead skin cells, and honey contains antioxidants that help fight wrinkles. It’s really nice to know, especially for a beauty geek like me, that I can enjoy the benefits of these ingredients aside from being hair-free. If you’re wondering if you can see any results, in my experience, my skin immediately felt softer and smoother right after waxing. But as with any whitening products, skin can lighten only after several applications. Although take note that skin can really appear whiter and feel smoother when waxing since hair is removed by the root, unlike shaving, which leaves stubbles, making the skin look darker. This is why waxing is a more skin-friendly hair removal option. Well, skin is in fact more taken care of with Lay Bare’s Thorough Care. Here are more photos during my visit at Lay Bare. Aside from the special Thorough Care treatment, I like how Lay Bare keeps their private rooms clean. 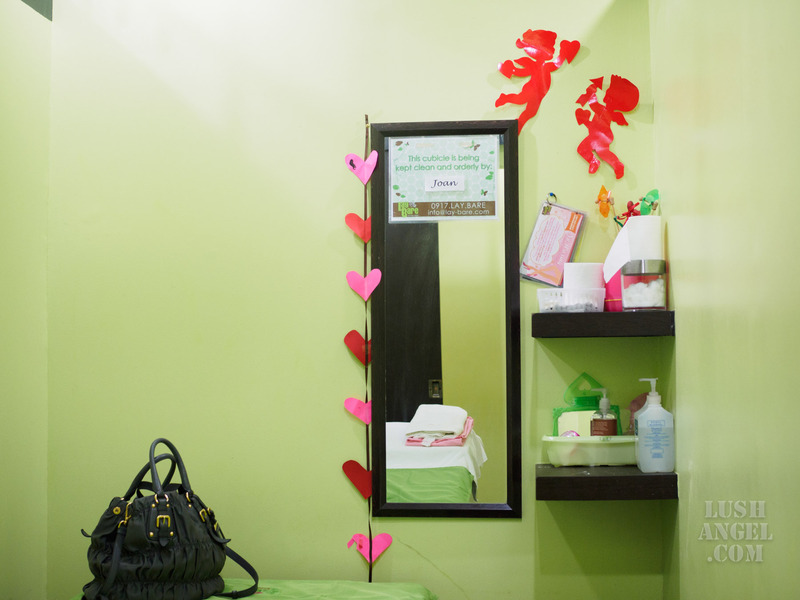 They also have very friendly therapists, making sure their clients are comfortable the entire treatment. And every after waxing session at Lay Bare, I’m definitely confident that I’m Bare Ready! How about you? Are you? For more information on Lay Bare, visit www.lay-bare.com or follow them on Instagram and Twitter @lay_bare.